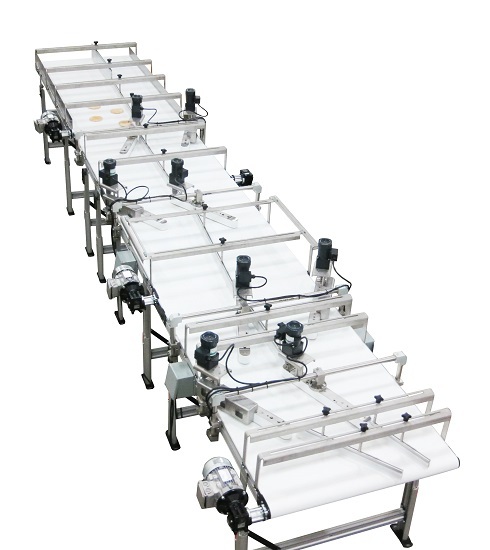 The purpose of chicaning conveyor system is to take random, misaligned or grouped products and spread them into a single file line. 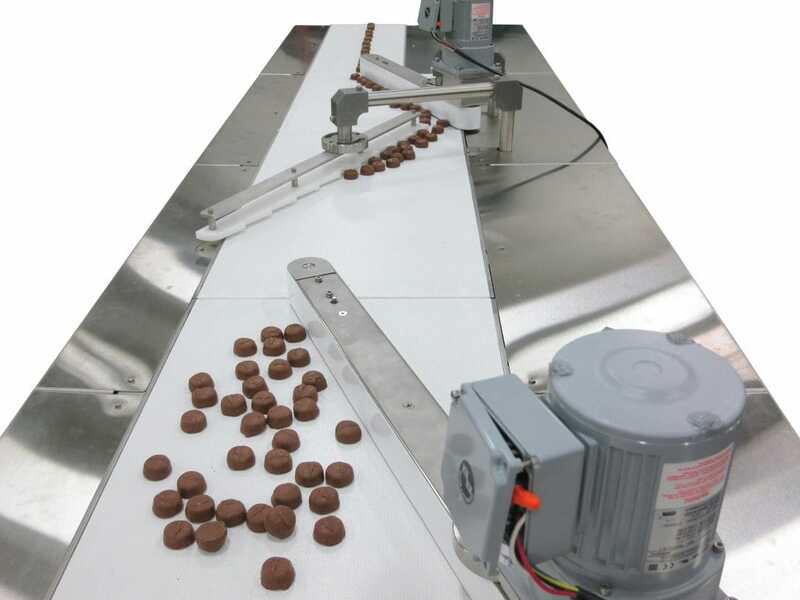 In certain production processes, products are grouped together. 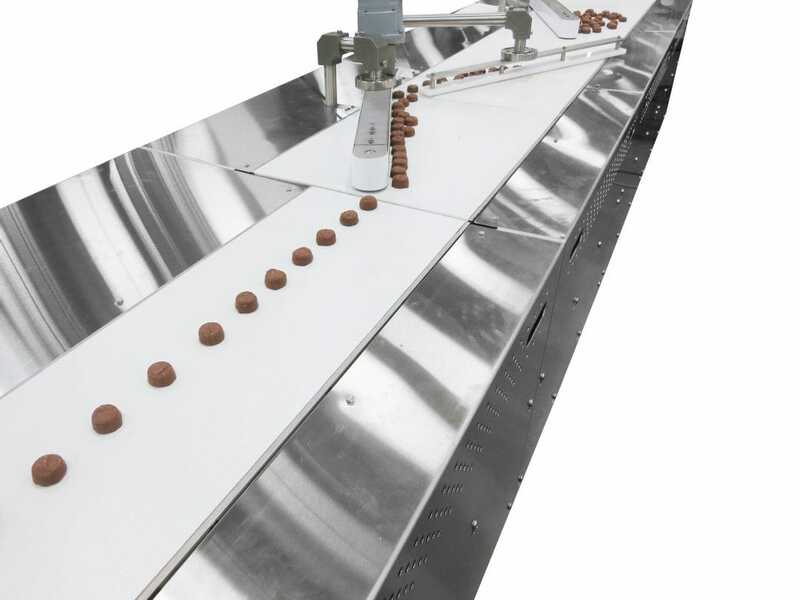 This can occur either on purpose or as a result of the process such as in an oven, where product needs be spread out to allow for even baking. 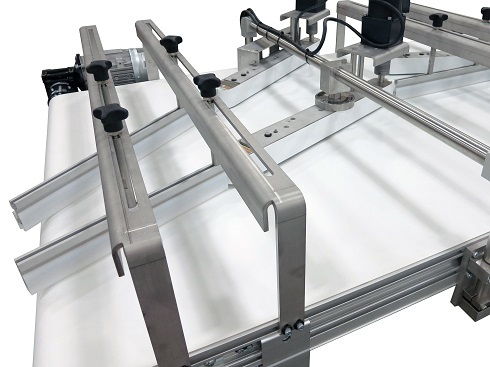 However, further down the line the product needs to be reoriented or placed in specific rows and spacing. The challenge is how to take randomly spread product and create neat rows with spacing. 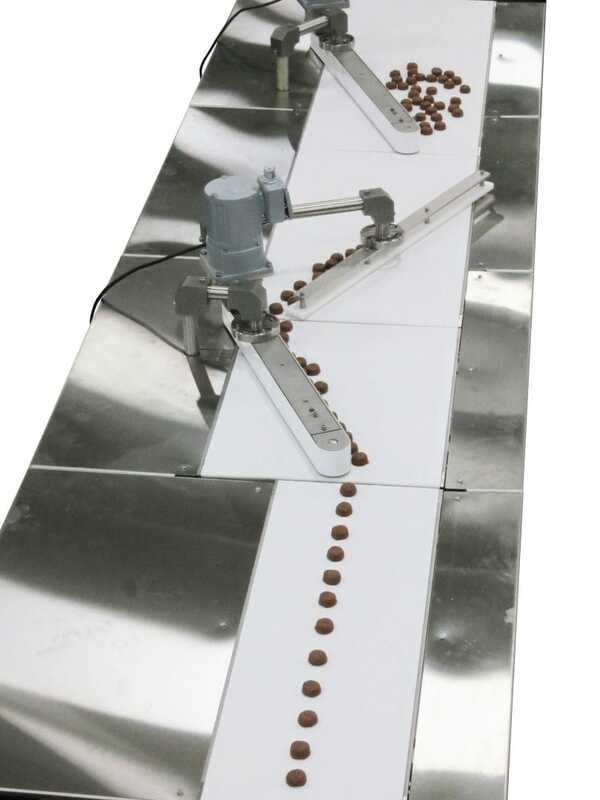 The chicane system consists of several conveyors in a line with each consecutive one running slightly faster than the previous. This allows product to be pulled further apart as it flows down the line for single filing. 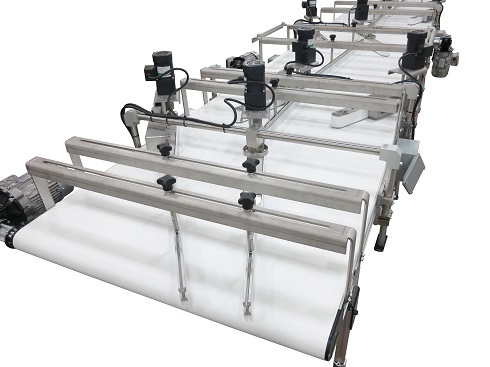 Chicaning systems can be constructed with Dorner’s aluminum conveyors for industrial application or with stainless steel conveyors for sanitary applications.